I’ve had enough, it’s time to quit! For the past 3 years I’ve been leading a double life. By day, a jolly Forest Gardener. By night, a geeky web designer. 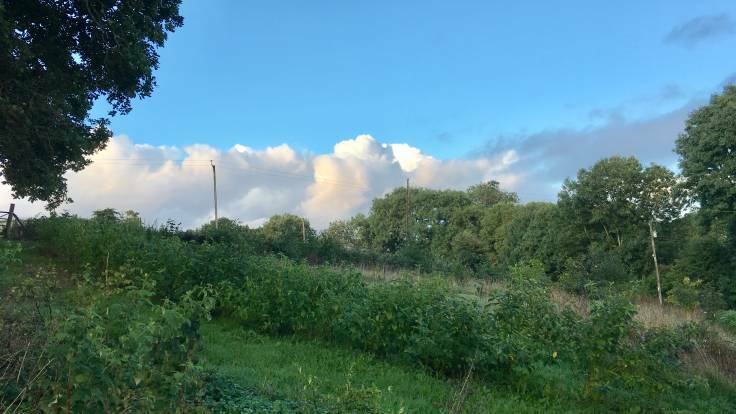 After moving to Wales, I always thought I would be able to combine both roles, with the odd bit of remote working for building websites to offset the labour-intensive setting up a forest garden. But I was wrong, my skills (accessible HTML & modular CSS if you were wondering) are too niche for part-time work. So, it’s time to quit!! This is a leap into the unknown. From next May, I will be a running 1-day forest garden course and half-day tours each month, and I’ll have to make a living from it. This means at least half a dozen people on each course & tour. Eek. So, this autumn & winter I will be re-launching the website and creating a series of short videos, outlining the course. As well as finishing the forest garden, fitting rabbit-proof fencing and starting the Ornamental Maintenance-free Forest Garden (OMFG!). This does mean more blogging (thank you for the impetus, oh #GdnBloggers!!) and rather awkward self-promotion on all them social networks.